The temptation is great. A young family in northern Bavaria discovered a beautiful home in a great location with the right plan at an affordable price. The prefabricated wooden house was built in the seventies. Manuela Brenner has read of problems with these types of houses and caused a dust sample before buying. Laboratory analysis gives a value of 1 mg of pentachlorophenol (PCP) per kilogram of house dust. How is the health risk to be assessed? If the family to buy the house? PCP was used until the beginning of 1980 as a fungicide massive indoors. Particularly static structures, such as wood stud framing and roof trusses should be protected against wood-destroying fungi. But even non-structural elements were treated preventively, including staircases, ceiling panels, even door and window frames. PCP is a low-volatile indoor pollutants at low doses. The chemical evaporates very slowly from the treated wood in the air and deposited as secondary contamination on wall surfaces, furniture and utensils. People take the pollutant on skin contact and breathing. The Bavarian State Office for Environment lists a table with measured values in forestry houses: the wingspan ranges from 0.2 mg / kg to 1,400 mg / kg. Pentachlorophenol is a known carcinogen and is classified as a Category 2 MAK Values. Wood preservatives victims tell of nerve pain, lack of concentration, insomnia, night sweats, lethargy, muscle and joint pain. The inhabitant of a loaded rectory reported frequent infections, prolonged recovery periods, eye irritation and decrease of leukocytes. The analysis of first choice is the sampling of fresh dust. Ten to fourteen days after a thorough cleaning is the house dust with a vacuum cleaner to collect and analyze in the laboratory. To stabilize the analysis of at least two to three dust samples should be evaluated. In a striking finding of the dust sample material samples are taken to source research of various wooden parts. The sample size varies from five to twenty samples, depending on the size of the object. In addition, a room air measurement is preferably carried out in the cold season. In the evaluation of fresh dust PCP Directive classifies a result of greater than 1 mg / kg as a conspicuous. The measures are to be derived source search and analyzing the air. Room air values of greater than 0.1 ug / m3 are considered to be conspicuous. For material samples this is valid at a value of greater than 5 mg / kg. If the family buy the wooden house? The measured value is in a boundary region, in which further analyzes could stabilize the result. Basically, the author did not recommend a purchase, since even small amounts of PCP can cause long term health problems. With proper endurance, the family will find a property that does not pose a wood preservative risk. 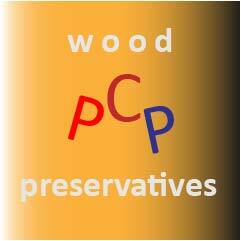 Finally we state: zero tolerance for wood preservatives. This entry was posted in indoor airpollution and tagged PCP, wood preservative, wooden house on 2015/03/29 by joachim-w.